Easter Egg Hunt Activities in South Orange County: Saturday April 7th. Posted by Teresa Mihelic HelpDesk on Thursday, April 5th, 2012 at 2:27pm. San Clemente Egg Hunt: This is a great event as it is in the newer Vista Hermosa Sports Park. Breakfast sale, activities, visit from Easter Bunnny and more, with many games to enjoy and of course, an egg hunt up to 10 years old. From 8:30am ( breakfast starts at 7:30am) until 12:00pm. Dana Point Egg Hunt: Enjoy a morning of spring time fun at our Egg Hunts. The city offers two locations - Pines Park, 34941 Camino Capistrano and Sea Canyon Park, 33093 Santiago Drive. 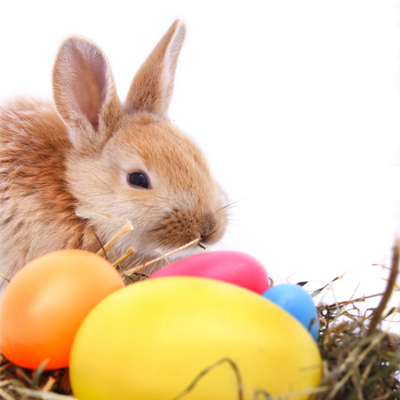 Activities begin at 9:00am and include: Children's Games, Petting Zoo, Easter Bunny Visits - bring your cameras. The event concludes with a Egg/Candy Hunt which begins promptly at 10am for ages up to 10 years. Don't forget your baskets to collect the goodies. Laguna Niguel Egg Hunt: At the Chapparosa Park, Make crafts, get your face painted, play games, jump in the bounce house, visit the animals at the petting zoo and watch a fun show! You can also saddle up for a pony ride and visit the Easter Bunny who will be strolling around (bring your camera). Food available for purchase. There WILL NOT be an egg hunt at this event. Cost is $7 for children (ages 3-12), and $1 for adults (13 and older).25191 Chapparosa Park Road, from 9am to 12:30pm. Lake Forest Egg Hunt: Enjoy a fun filled event for the whole family with a day of activities including game booths, crafts, face painting, giant ferris wheel, petting zoo, pony rides, balloon artist and egg scrambles. There will be entertainment for everyone with a strolling magician, DJ, live music, Alice and her Wonderland friends will be there too. Be ready for surprises, and bring your camera to take pictures with Nectar the Mad Hatter and Hoppy the spring bunny. From 11am to 3pm at El Toro Park: 23701 Los Alisos Blvd. Lake Forest, CA. Mission Viejo Egg Hunt: This free event is open to the public and will have something for everyone. The celebration will include an “Eggstravaganza Hunt”, bunny farm, face painting, photos with the Easter bunny, and a “Basket Bonanza” for all ages.The bunny petting zoo area will include a large spring garden party display featuring the Easter bunny and fun photo cutouts for the whole family. One complimentary photo will be provided to each family. The “Basket Bonanza” giveaway, for all ages, will include a chance to win one of five different baskets and one lucky bunny will win a brand new iPad. From 12:30pm to 3:30 pm at the Kaleidoscope. 27741 Crown Valley Parkway, Mission Viejo CA.